Chinese New Year is exactly in 1 month time!! Have you booked your nails appointment for this CNY?? 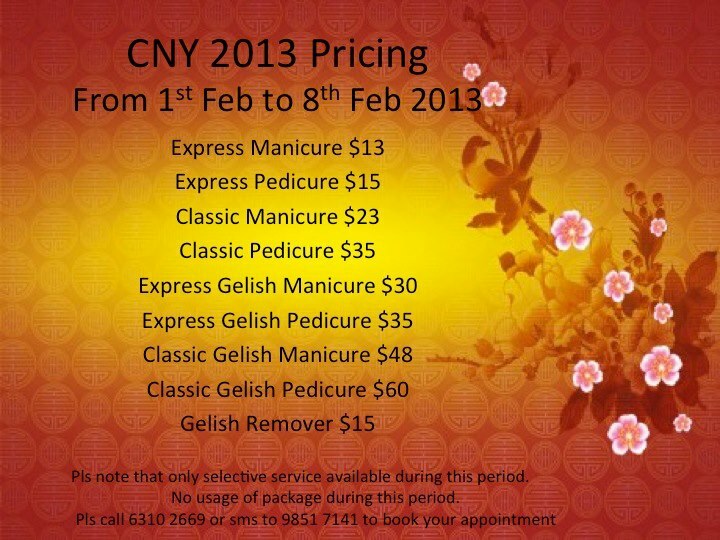 GardeNails had released their CNY 2013 Pricing! The special pricing is applicable from 1st February to 8th February 2013! *Do take note that, no nail art service provided during this period (1 – 8 Feb 13). For all Nail Art Service, please book before 31 Jan 2013! To avoid disappointment, do make your appointment with GardeNails soon! 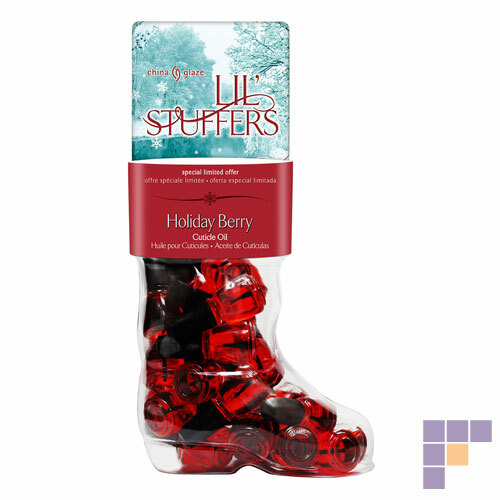 FREE China Glaze Holiday Berry Cuticle Oil (worth $12) Promotion is still on for my readers! Call 6310 2669 or text 9851 7141 for your CNY Appointment!